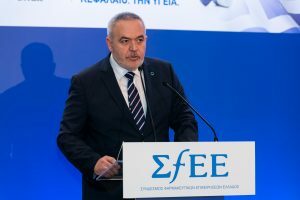 Athens, 30 January 2019 – On Tuesday, 29 January 2019, the Hellenic Association of Pharmaceutical Companies (SFEE) held its New Year Cake-Cutting ceremony at Aigli Zappeiou, Athens, attended by Government and Opposition officials and representatives of institutional bodies and the health industry. 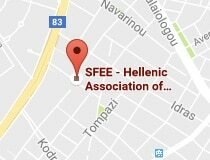 In his address, SFEE President Mr. Olympios Papadimitriou noted that 2019 is in many ways a milestone year, with many developments in all areas. In the new reality that has emerged after Greece’s exit from the adjustment programs, the Greek economy is poised to embark on a path of growth. The pharmaceutical industry is already making a decisive contribution to achieving the national targets and is one of the most important pillars of the National Economy, contributing 3.5% to gross domestic product (GDP), supporting 26,000 jobs directly and a multiple of that figure indirectly and accounting for 18% of total R&D expenditure. At the same time, it is the country’s third largest exporter. 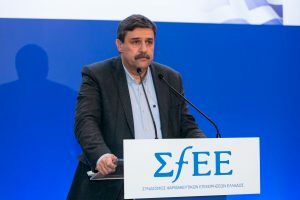 A major obstacle to the industry’s further contribution to Greece’s economic growth is the health policy, in particular the pharmaceutical policy, implemented so far. 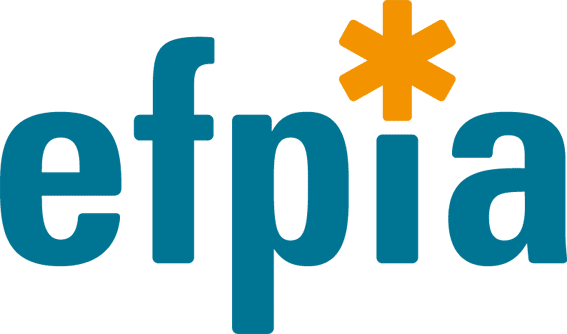 SFEE President concluded: “Our wish for 2019 is that we continue to be guided by the benefit of patients and awareness that this relies on the existence of viable and growing pharmaceutical companies and the cooperation of all stakeholders, a cooperation informed by full respect for patients’ needs and a vision for growth “. change the pricing policy mix. The framework we have set out is acceptable to the social partners (the pharmaceutical industry), but also to the institutions responsible for post-programme surveillance”. Short addresses and wishes for the new year were also given by: the MPs Mr. Vassilis Economou (New Democracy, shadow health minister), Mr. Kostas Barkotas, Movement for Change, responsible for the health sector, Mr. Vasilis Leventis, President of the Union of Centrists, and Mr Georgios Mavrotas, Vice-President of Potami; Mr. Theodoros Tryfon, President of the Panhellenic Association of Pharmaceutical Industries (PEF); Mr. Makis Papataxiarchis, President of the Pharma Innovation Forum (PIF); Mr. Michalis Vlastarakos, President of the Panhellenic Medical Association; Mr. Kyriakos Theodosiadis, President of the Panhellenic Pharmacists Association (PFS); and Mr. Chris Daramilas, President of the Panhellenic Federation of Diabetes Patient Associations (P.O.S.S.A.S.DIA.). The ceremony, attended by the entire Board of the Association, was officiated by the Reverend Father Isidoros Tsorvas, Archimandrite and Chairman of the Council of the Holy Church of Panagia Marmariotissa, Halandri, on behalf of His Beatitude the Archbishop of Athens and All Greece Ieronymos.